After a series of deliberations, 17 judges from around the world narrowed the more than 500 entries to a small selection of 11 winners. Kenneth Cobonpue’s design, the Lolah Chair, bested competitors from 22 countries and regions. 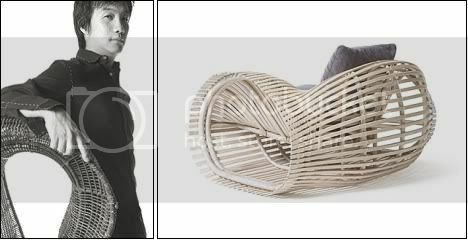 Acknowledged furniture design leader Kenneth Cobonpue gives the Philippines a reason to be proud. Once again, he has highlighted the country on the map of the highly competitive world of design. Him being granted the prestigious 2005 Design For Asia Award is a fierce statement that Filipino creativity is indeed world class. Click "Read More" for more Kenneth Cobonpue tidbits and furniture pieces. The Design for Asia Award (DFAA) is the most prestigious design award given in Asia. An invitational international competition organized by the Hong Kong Design Center, it is dedicated to promoting design excellence and aims to raise awareness among businesses and the public that good design makes good business and improves quality of life. Awards are given to companies whose designs reflect or move the Asian Lifestyle. Criteria for judging are based on design, impact on Asian lifestyle and influence in Asia, and commercial success. After a series of deliberations, 17 judges from around the world narrowed the more than 500 entries to a small selection of 11 winners. Kenneth Cobonpue’s design, the Lolah Chair, bested competitors from 22 countries and regions. 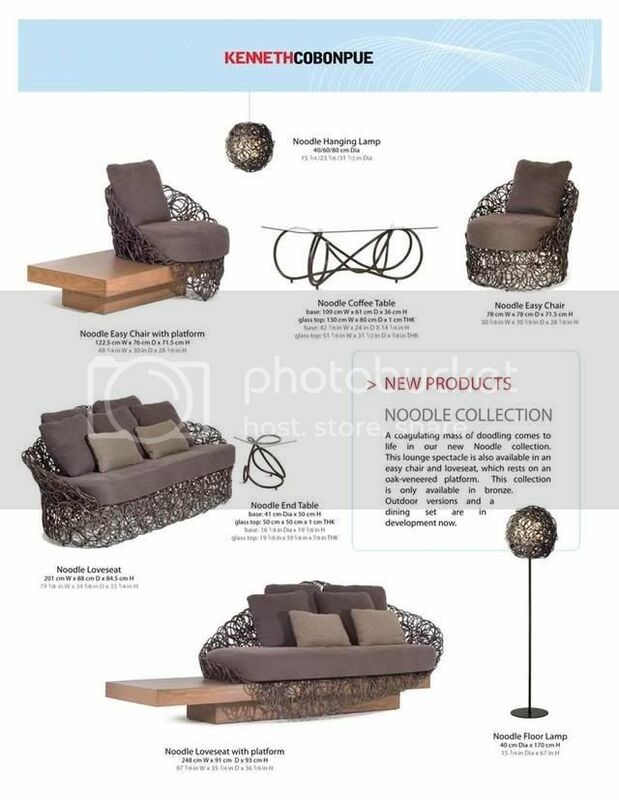 The Lolah is a furniture collection that is made from rattan poles and strips fastened together with glue, nails and nylon wire in a process reminiscent of traditional Asian shipbuilding. The judges praised the design for its simple structure, sculptural form and innovative use of material. Other prominent designers and companies who garnered awards are fashion designer Vivienne Tam, Nokia Corporation, and Sony. Known for combining traditional materials with innovative production methods and a modern aesthetic, Kenneth has gained design prominence through various awards such as the Japan Good Design Award (7 time winner), the Grand Prize at the Singapore International Design Competition, 2 awards for Best Seating at the 2005 Las Vegas Hospitality and Design Show and Best Outdoor Chair given by HOME Magazine at the 2004 High Point Furniture Show. We did a little searching on ebay and we found out the single piece of Kenneth Cobonpue furniture for auction. It's a Kenneth Cobonpue Nobu sofa.